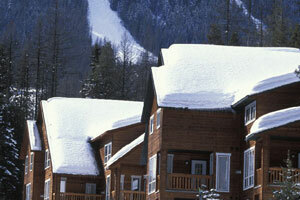 Reminisce over fond ski holiday memories of Fernie ski accommodation at Polar Peak Lodges. These 3-bedroom self-contained town homes are nestled in the cedars at the base of Meadow Run, offering seclusion and a slopeside location only steps from the Timber quad chairlift at Fernie Alpine Ski Resort. Spacious floor plans and individual decorations and furnishings are unique to each of these town homes. Contact us for more information or to make the Polar Peak Lodges part of your Fernie ski holiday.